I like a good cigar. 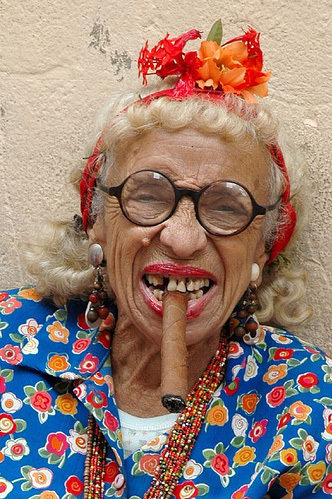 In fact I consider myself sort of old school, having enjoyed cigars back before Bill Clinton made them popular. 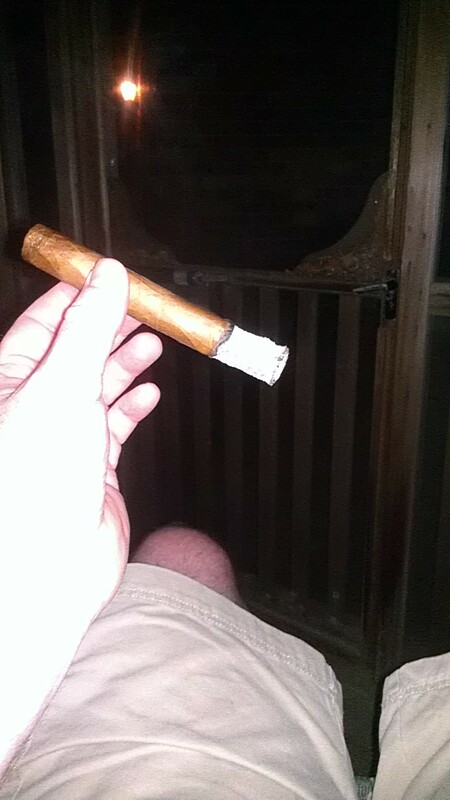 But I never really thought to do a cigar review here because…well because I just don’t know that much about cigars. Oh, I can walk into a cigar shop and have a good chance of walking out with something I like, and I’ve developed a few beliefs over the years; but deep, researched, experienced cigar knowledge? Nah, I always thought the closest I’d get to a cigar review was of a Cigar City beer. But when Ted’s Cigars stepped into my house, my HOUSE, MY HOUSE! – well really our house, with a cigar that’s aged on 100% centennial hops, I had to step up to the plate. After all, if you’re going to waste perfectly good hops on non-beer related shenanigans, then it better be for a good cause. Here’s a run down of what I know, and what I looked up: Going the alcohol route for Ted’s Cigars is nothing new. Ted’s makes cigars that are infused with everything from Rum to Grand Marnier to Maker’s Mark, but this appears to be the first time they’ve tried something “non-liquid” so to speak. The process isn’t foreign to cigar makers, my favorite brand “Acid” from Drew Estate ages their cigars in the presence of herbs and spices thus allowing the tobacco to take in the essence of the spices, giving the cigar another level of aroma and flavor above just the normal leaf itself. Hopz Cigars are hand-made in the Dominican Republic using Cameroon as the wrapper leaf, US Connecticut as the binder and Dominican Republican leaf as the filler. Filler is the tobacco inside the cigar, it’s wrapped and held together by the binder first, then finished with the more attractive wrapper that gives the cigar its finished look. Then the finished cigar is placed in a room full of centennial hops where it ages until it has acquired the desired level of aroma from the hops. Or, maybe not. I really don’t know HOW Ted’s infusion is done, they may be resorting to some sort of devil-witchery for all I know but for the sake of imagery let’s picture a room full of cigars snuggled softly into beds of fresh green hops. I was smart enough to know not to expect a huge rush of hop aroma as I opened the glass tube. Infusion of this sort tends to be subtle, sadly you can’t dry hop a cigar. But it was there, just the finest wisp of green hop aroma along the length of the cigar, with a more pronounced aroma at the cut end. Much like the lingering aroma that’s left on your fingers after a day of home brewing. However, my second assumption about this cigar also proved to be true – that once lit, the aroma and flavor of the tobacco leaf would over power the hops and it would be undetectable in the flavor or smoke. Maybe someone who is really good at reviewing cigars might have been able to find some trace of the hops somewhere amongst all the other flavors, but it was lost on my unskilled palete. However, after getting about half way through the cigar I was starting to get a little something. Something in the flavor, well more like an actual feel than a flavor. Maybe if you sucked on a hop cone for a bit, the very last lingering traces of flavor 10 minutes later? Something like that, maybe? Or maybe it was just my mind. Aroma? Straight forward cigar really, no hops that I could detect – however, I’ve always found it to be true that I can always get more of the true aroma from cigar (and especially pipe) smoke when someone else is smoking it. So maybe if someone else in a room was smoking a Hopz cigar, my experience might be different in that regard. As I said in the opening paragraph, I do have a few beliefs when it comes to cigars. Two of which I consider to be my only criteria when it comes to fine cigars (beyond just taste). First I believe that a well made cigar will hold its initial ash. One should be able to smoke a cigar for a considerable period, before the ash falls off under its own weight. The Hopz did well in this case, getting to about 2 inches before it collapsed into my lap – causing a brief round of enthusiastic brushing (I’ve always maintained that ash from a cigar was cool enough not to really burn or light something on fire, but having a pile of it on your crotch is not the time to test that theory). My second criteria is that the cigar should taste as good at the end of the smoke as it did in the beginning. A cigar made with fine ingredients should not start out tasting good, and then end up a harsh, bitter tasting inferno. Again, the Hops did well in this regard; the light to medium flavor of the leaf carried through all the way to the end of the smoke. Thank you for this post my good man! The last five or six times I’ve walked into the humidor to purchase a cigar I’ve seriously considered getting one of these… good to know what to expect! Thanks Ed for trying our HOPZ cigar and writing such a thoughtful review. Just to clarify, our cigars are seasoned using an aromatic process. We don’t add anything to the tobacco itself, hence the subtle Centennial Hop flavor that you experienced. We’re not trying to overpower the tobacco with flavor, but rather enhance it. Same is true for all of our cigars, including the Maker’s Mark Bourbon Cigar. In this case, you’re not actually smoking hops, but rather a premium Dominican Republic cigar with a touch of hop aroma. And we couldn’t agree with you more; pairing the cigar with a hoppy IPA will bring out the best in the cigar. Thanks for stopping by and the clarifications. I knew there was no actual hops in the cigar itself. What I wasn’t sure of was if by aromatic process you mean simply storing the cigars with the hops, or if your extracting the hops and nebulizing their aroma into the air as either a stand alone process or coupled with your humidification system. Previous Previous post: Some Thoughts on Beer Glasses. Next Next post: The Anatomy of a Blog Post.